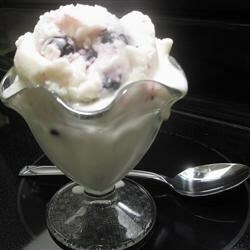 A creamy and delicious frozen yogurt with a subtle hint of vanilla. Mix together the yogurt, sugar, and vanilla. Refrigerate the yogurt mixture for 45 minutes.